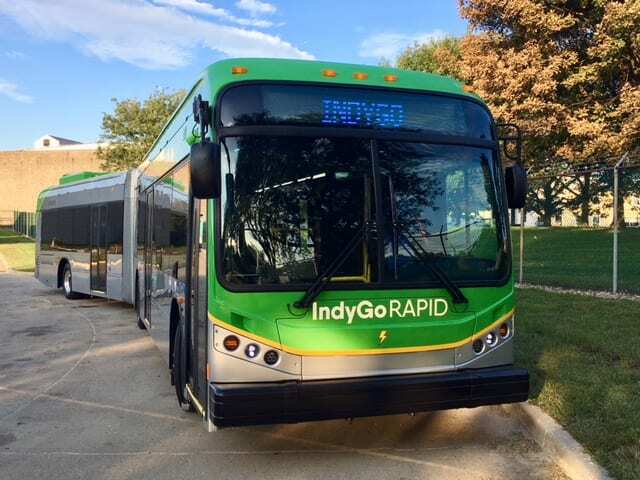 Chinese automaker BYD has recently delivered an electric bus to the Indianapolis transportation provider IndyGo. The BYD electric bus delivered will be the first of 13 total buses ordered by the agency to be received. The 60-foot articulated BYD electric bus, the K11, is planned for use on the 13.1-mile Red Line between Broad Ripple on the north side of the city and the University of Indianapolis on the south side. The K11 is expected to help bring cleaner and quieter transportation to the city. IndyGo will use 1 MW solar installation system mounted atop their garage in order to provide the electricity required to power the BYD electric bus. “By using electric buses, IndyGo will reduce noise and its use of diesel fuel and the emissions that come from it. At least some of the energy required to charge the buses will be derived from a 1 megawatt solar system mounted atop IndyGo’s garage. BYD currently has over 35,000 buses in service across 200 cities, 50 countries and six continents around the world.